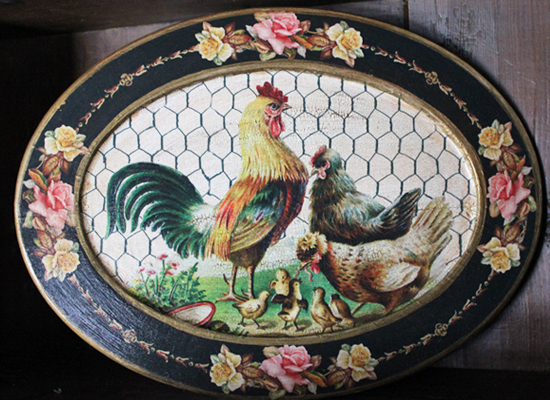 A beautiful platter featuring an image of chicken family on top of a chicken wire design and surrounded by a border of roses. Handcrafted in Robin's Colorado studio, this wooden oval platter measures 12 by 16 inches. Perfect for a wall, shelf or simply placed it in an easel. 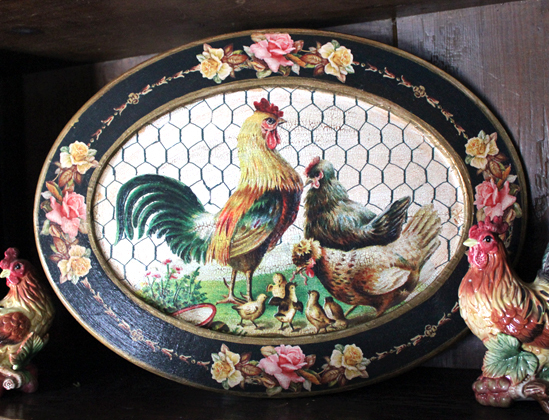 The decoupage platter is accented with gold paint and the entire piece features her signature crackle finish. Each platter is made to order, made in the USA and is signed by Robin.